Let's begin my travelogue episode 9 (12 November 2016 – Saturday) about my trip to Japan with my sister. I can say on this day is the last day of our tour in Tokyo, Japan before we going back home on the next day. This day, I was using the Tokyo Subway 24 hour's ticket – Adult of JPY 800. It's the gift from my cousin sister. She went to Tokyo, Japan before me so since she is not using the ticket, then she gives to me. Like the ticket mention of 24 hours, ticket and its can use within 24 hours after you start using it. For example, you start to use it on 10:00 am so you can use it until 09:59 am on the next day. Just need to pay JPY 800 only. This ticket only can use for Tokyo Metro and Toei Subway. Its ticket can make you saving your money. To me, I feel its super saving because it's free as the gift from my cousin sister. For Yurikamome Line, I have to use the ICOCA Card because the Tokyo Subway 24 Hours ticket can't use for that line and also I still have the balance on that card since my trip to Osaka, Japan. But you can use the PASMO card if you have it. On the early morning, we're going to Tokyo Tower. I'm lucky when my sister treats me by paying my entrance ticket of Tokyo Tower. Actually, it's my second time going to Tokyo Tower but me never going up before this. So these times, I get the chance to explore new experience with her. Tokyo Tower (東京タワー Tōkyō tawā) is a communications and observation tower in the Shiba-koen district of Minato, Tokyo, Japan. At 332.9 meters (1,092 ft), it is the second-tallest structure in Japan. 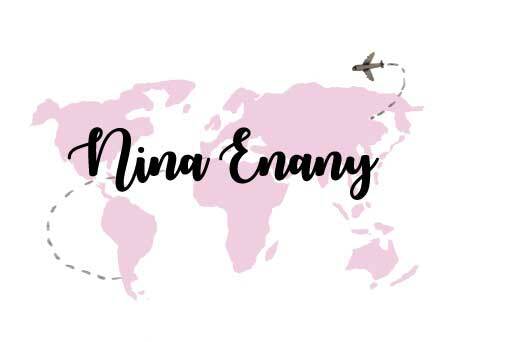 The structure is and Eiffel Tower-inspired lattice tower that is painted white and international orange to comply with air safety regulations. I can see 360' view of Tokyo City at the Observation level. It's so beautiful. It's also the hot spot in Tokyo, Japan. The price of entrance ticket is JPY 900. Thanks to my sister for her treat. 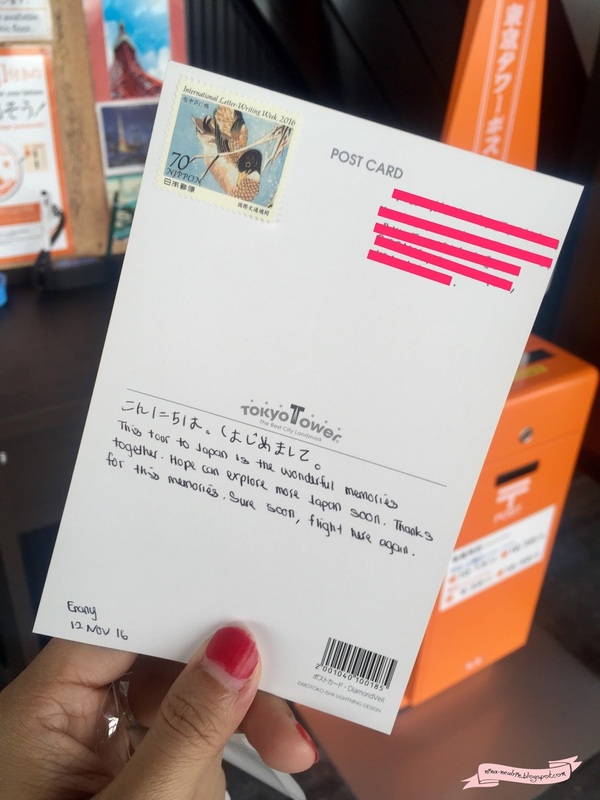 Lucky at the Tokyo Tower can post the postcard. So I take this chance to post my own postcard. It's like the souvenir to me for every country I went. Maybe I will post some postcard to my friends from the country I went in future. So who's the lucky one? Then we're moving to Roppongi for our lunch at Sumiyakiya Restaurant. It is located just 5 minutes by walk from Roppongi Station. We take lunch set meal and the price is around JPY 1,200 – if I not mistake. They serve the halal meal for the Muslim customer. It's so delicious and I also surprised when they also serve kimchi to us. When I saw kimchi, I already miss my hometown. Maybe soon I will back my hometown. I hope so. After lunch, we proceed to go Traveler's Factory Nakameguro Shop. I love this shop so much. I can find the new traveler collection. I hope this store will open the new branch in KL soon so I'll easy to find the new collection in my place. Now, we're going to Odaiba area – which is located the Fuji TV Office, Gundam Robot, and Rainbow Bridge. If I do not mistake, this place like the new island to me but it's so beautiful. The Fuji TV Office and Rainbow Bridge is located just near by for each other. Just the Gundam Robot is located at the next road of the Fuji TV Office. We just looking around by walking and takes some photos before going back to our hostel. Next, we're moving to LAOX Ginza. My sister is looking the Muslim souvenir like chocolate. They are selling the halal souvenirs like chocolate. After that, we're going back hostel and start packing our luggage. On the next day, we have to go the Narita International Airport in Tokyo, Japan since our flight on the morning. Here, the link to the continue stories about Joyful Trip to Japan in Autumn, 2016 – Day 1, Day 2, Day 3, Day 4, Day 5, Day 6, Day 7, Day 8, and Day 10.